The Stone Roses have already recorded "three or four" new songs. The 'Waterfall' group reunited last year and are planning a series of huge comeback shows over the summer, and film maker Chris Coghill - who is making a movie set during the band's iconic 1990 Spike Island show - is certain they have recorded new material. He told the BBC the band "have at least three or four songs recorded." 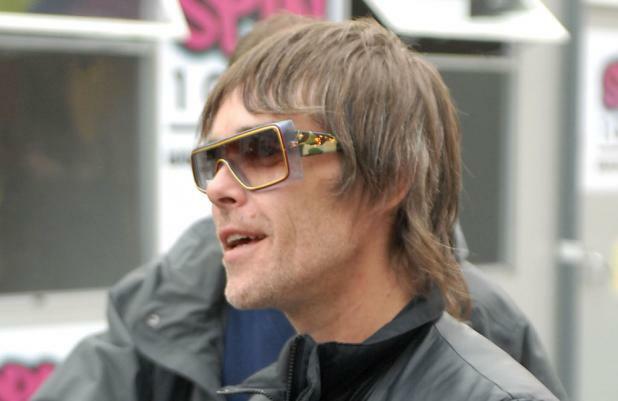 Speaking about his film, called 'Spike Island', Chris said he has the blessing of the group: Bass player Mani, drummer Reni, guitarist John Squire and singer Ian Brown. He explained: "I'm mates with Mani and I know Ian a bit, and when we first started talking about it, I emailed them both an outline of what we wanted to do and they said, 'You have our support, you have our blessing, whatever you need. "Essentially, it's my love letter to the Stone Roses and being 16 years old in 1990 in Manchester. There's a little bit of me in all the boys." The Stone Roses first reunion shows will be in Barcelona on June 8 and 9, before dates in Holland, Sweden, Denmark, Germany and France before three nights in Manchester, England, on June 29, 30 and July 1. The band will also play T in the Park festival in Scotland, which takes place between July 6 and 8.